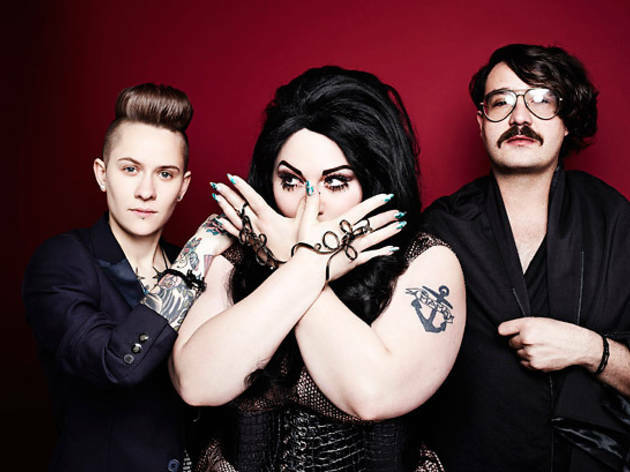 Formed in the backwoods of Arkansas seven years ago, Beth Ditto (vocals), Nathan Howdeshell (guitar) and Hannah Blilie (drums) are finally on the up. Inspired by the riot grrrl movement, ESG, Hall & Oates, Eric Satie and Kinder Bueno bars they describe their sound as punk-soul clash or ‘one half Valerie Solanas and one half Andy Warhol’. Their third album, ‘Standing In The Way Of Control’ was released to acclaim earlier in the year and they’re currently playing festivals across Europe. It’s a long way from watching friends eat squirrels in their hometown of Searcy.